like it's going to stay that way! I added a matt of plain black paper under the design paper. I then added some lace, black satin ribbon & sheer white ribbon. then topped that with a little doily. The decoupaged image was matted on to the black paper too! on Monday 7th September at 4pm & 7pm. I've just heard there's a show on Tuesday too! You can just about see the dimension in the side view of my card! Thanks for stopping by, I hope you've enjoyed your visit! 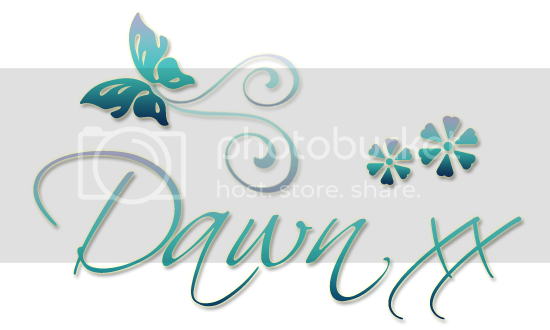 Hi Dawn, fantastic card. The image is great and that backing paper is beautiful. 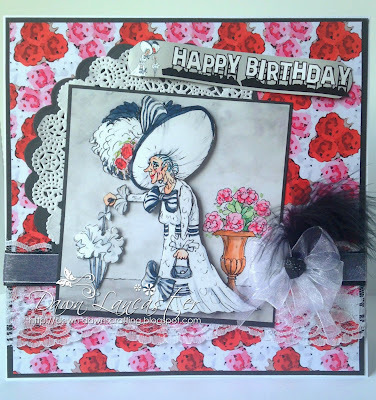 Love the way you've embellished the card- I love Lelli-Bot embellishments. Oh my word I love this, so funny! Brilliant card! Loving your wrinklies cards Dawn. Oh, I'm laughing so hard over this one, Dawn. Nobody does the Wrinklies better than you. Fabulous design! A brilliant card Dawn, great image and fabulous papers. Gosh what a super image, really made me smile, reminds me of the Grandma in Downton Abbey. Brilliant card Dawn, will look out for it on C and C, how exciting for you. OMGoodness, your card is hysterically fun! 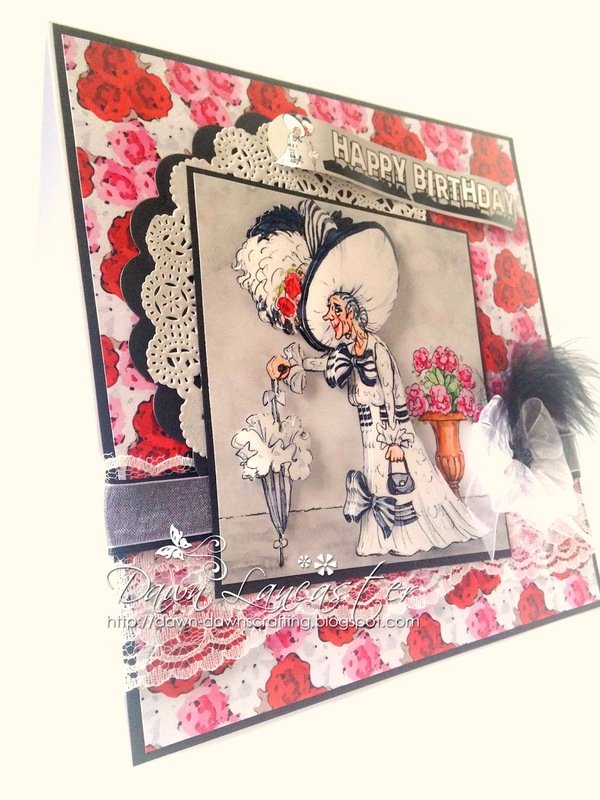 Love everything about your card! The CD looks like it holds wonderful wrinklies! A super creation with lots of lovely layers Dawn, perfect for our theme this week, many thanks for joining in at Allsorts challenge. Great card Dawn. Love the image and all the detail. Fab image, beautiful details and layers. Love the image, a fabulous creation. 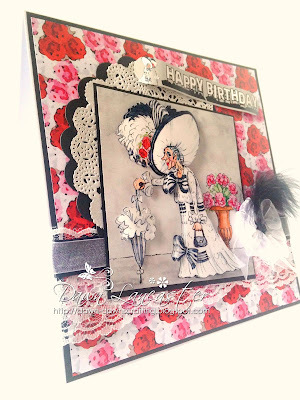 Thanks for sharing with us at Crafty Girls Creations. This image is hilarious! Fab design. Sorry I am a little late in getting round to commenting!